Very nice. It will to perceive Bhagaban teaching with different commentaries. It will be helpful to understand easily even by ordinary people. Very very appreciating endevour to make the teaching of the Bhagabad Gita popularised world wise. The website id really nice. Please add Hindi audio which you have already did, but now do not see Hindi audio in website. it is very very nice to listen this Bhagavadgita audio in different language specially in sanskrit. I am very thankful to Sri Vidyabhushana who sung entire Bhagavadgita. All bhagavadvita devotees must listen regularly in the part of life. I’m really into putting my mind on higher levels of consciousness. Now THIS is what the internet is for! many thanks for sharing the knowledge of Srimad Bhagavad Gita. 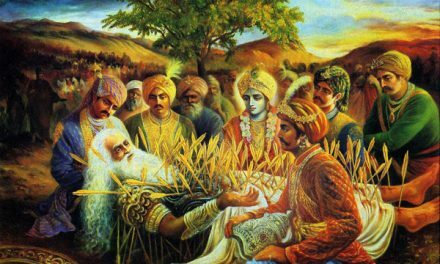 what is the meaning of ” suspending the inward and outward breaths within the nostrils” in chapter 5 of bhagvad Gita ? i like reading srimadbhawadgita everyday before going for work. Thank you so much for putting/sharing this audio on the internet. It was exactly what I was looking for. Many thanks. Can we get to download all the chapters so that we can listen while traveling? I am grateful for this beautiful recording which inspires me every single day to try to live as a better person. May this bring peace to all. very good. i am thankful for the audio. I see you have made some changes to your Website. But, where are the sung versions? I agree with you. I would be glad to have it. If you know how to do it. Please let me know. Nice. Whenever I’m stressed , frustrated, agitated, I listen to this masterpiece which is admired by great people like Einstein , Socrates and many more. As I listen, it feels me from within with joy, peace, calmness in mind, ability to focus on one thing and many other virtues. This has helped me concentrate and focus on one subject and become master at it. I’ve become more knowledgeable and wise since I started listening to this. It’s a philosophical text, mainly the dialogues exchanged between Arjuna and Krishna the god. I hate that non -Hindus don’t listen to this and fail to take advantage of it for they think this scripture is only for Hindus, but the fact is it is for humans regardless of their religion. Where can I download the Bagawad Gita audio so I can linten anytime? Please add a telugu version too. I want to play the same to all my relatives!!! the english version is terrific!!! Is there a way you can tell me how to get a copy of this Gita versions? Excellent !! !Could it be downloaded here ? So nice services are being provided to the people of the world. I am lucky to have such melodious audio and thankful of you. 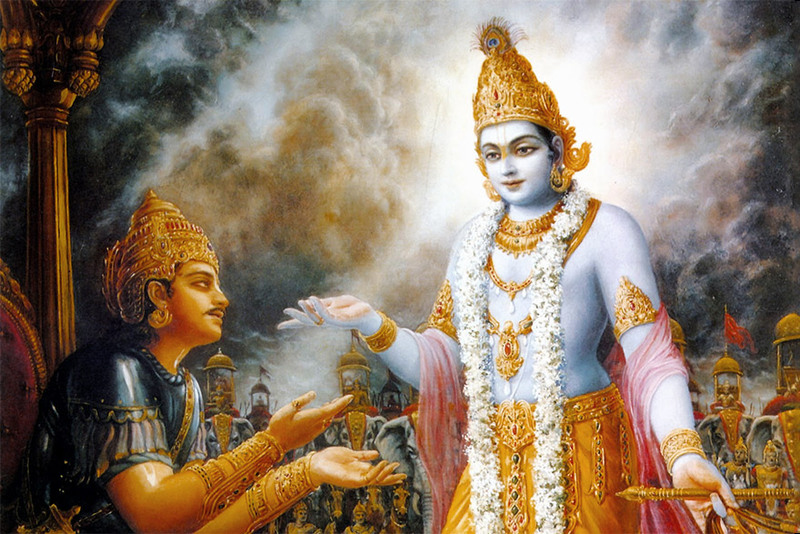 The Supreme Personality of Godhead, Bhagavan Sri Krishna, Lord Vishnu! Really superb.. so easy to digest and understand. appreciate if you could create a tamil version too. Very good work for spreading krishna consciousness. Thank you very much. !!!AWESOME!!!! THANKS TO ALL WHO CONTRIBUTED FOR THIS BEAUTIFUL WORK!!! Really happy after listening this Gita by a English professional as translation. searched at many places for this type of voice to build my own English knowledge along with the true & good lines implementation of srimad bhagwat gita. my request pls help us to download this to listen in my stressful moments.